An aspiring librarian strives to get to the bottom of a decades-old murder and his mother’s act of vandalism in this foray into noir by Norman (Next Life Might Be Kinder, 2014, etc.). Norman’s novels tend to recycle themes and settings so consistently that each individual work can feel like a fuguelike variation in a broader epic. Now we are once again in Halifax, in a story centering on a man, Jacob, with a peculiar job (auction representative for a wealthy dowager) who becomes entangled in an unusual calamity. This one involves Jacob’s librarian mother, Nora, who has defaced a Robert Capa photo of a dead World War II soldier at an auction; conveniently and peculiarly, the lead detective on the case is Jacob’s fiancee, Martha. Her investigation reveals not only that Nora was acting out her feelings toward her soldier husband (who she believes is the man in the Capa photo), but that a different man may have been Jacob’s father—and that man is on the run after having committed an anti-Semitic murder decades ago. 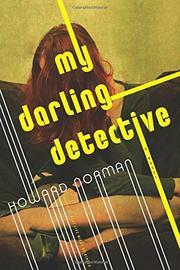 The plot is a tangle, often absurdly so, but Norman is gifted at establishing atmosphere and character, and he pleasurably engages with old-fashioned crime-story patter (mostly via a radio drama Jacob and Martha enjoy) and hard-nosed detectives pitted against Jacob’s more genteel and bookish sensibility. Norman’s idea of a good time is still pretty dour, though. Motifs of doubling—Jacob’s two fathers, his pursuing a librarian career like his mom, the radio drama's echoing Martha’s own investigation—suggest a history-keeps-repeating sense of entrapment. But ultimately Norman pulls off what old-school noir pros like Chandler and Goodis did: mixes romance with blood in the gutter, makes sure the bad guys get theirs, and ensures the good guys don’t come out unscathed. An unconventional, lively literary mystery.